Who is Michele Miscavige Husband David Miscavige , Where is She Now ? Home Travel and History Who is Michelle Miscavige, Husband – David Miscavige, Where is She Now? Michele Miscavige is a member of the Sea Org responsible for managing international affiliate entities of the Church of Scientology, she is also the wife of David Miscavige, the Leader of the Church. In a turn of events that has left many baffled, Michelle disappeared from public view for over a decade now and this has become a cause of concern to many. Religion is the belief and worship of a superhuman controlling power, a cultural system of designated behaviors and practices that relates humanity to the supernatural, which Karl Max rightly sees as the opium of the masses. For 12-year-old Michele, who became the youngest member of the Scientology religion, holding on to the tenets and believes of the church was very important. But most important right now is where could she be? Is she alive? what is her husband saying concerning her whereabouts? Details are embedded in this interesting article. 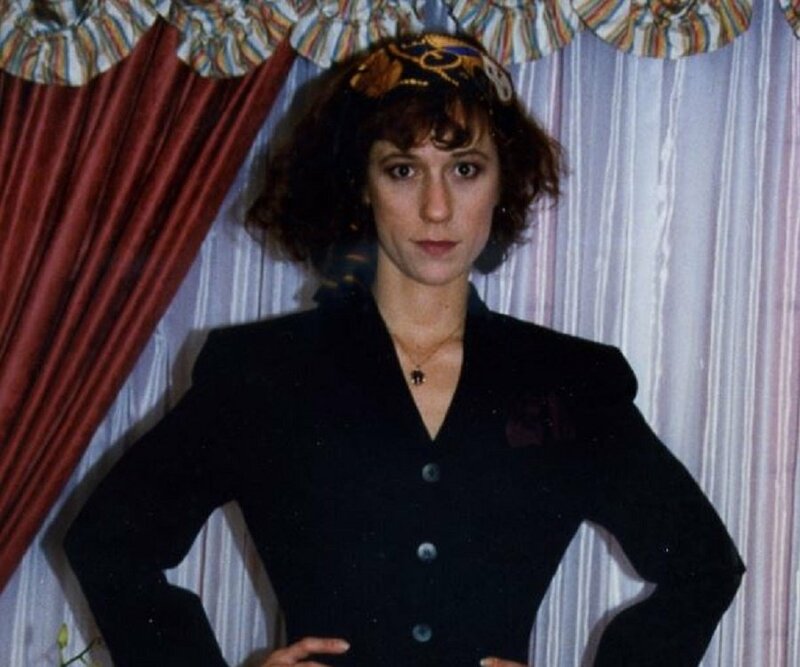 Michele Miscavige also known as “Shelly” whose maiden name was Michele Diane, was birthed on January 18, 1961, to the loving arms of Maurice Elliot Barnett (who worked as a handyman) and Mary Florence Barnett, both devoted members of the Church of Scientology. Michele had an elder sister named Clarisse, but her parents got divorced when she was very young, and she was sent to serve L. Ron Hubbard, founder of the church. Hence, her devotion to adhering strictly to the beliefs of the church stemmed from the fact that she served as one of the personal stewards of Hubbard whom she worshiped greatly, earning a name for herself as one who followed each order with precision. Her mother suffered from emotional issues and aneurysm died mysteriously in what was concluded to be suicide on September 8, 1985. This was despite the fact that her body was found with three gunshot wounds on the chest and one on her head which was inflicted with a long rifle. Her death had a profound effect on Michele’s worldview as she developed a quiet demeanor and dropped out of school at the age of 16 to join the Sea Org in Clearwater, Florida. In her teenage years serving L. Ron, Michele Miscavige met and fell in love with David, a fellow Commodore’s Messenger Organization (C.M.O) member. When turned 21 and David 22, they got married. At the time, David was the chairman of the Board of Scientology Religious Center so that upon Hubbard’s death, David became the leader of the Church. Assuming the role of the first lady of the church had many responsibilities such as assisting her husband in his duties to develop the church, finding suitors for eligible young men and women of the church and advising younger messengers on how to lead their lives. She is reported to have led a church program to find a new girl-friend for Tom Cruise which led to Tom’s marriage to Katie Holmes. As the present leader of the Church of Scientology, David Miscavige rose to a leadership position in his teenage years being an assistant to the founder. The Church of Scientology whose major tenet is that humans are immortal alien spiritual beings called Thetans which are trapped on planet earth in a physical meat body has a different hierarchy within its structure. The highest authority of the Church of Scientology is the Religious Technology Center (RTC) which claims to be the only holder of Scientology and Dianetics Trademark and is the main executive organization with David as the head. The management of Scientology Organizations is controlled largely by members of the Sea Org which is a legally non-existent paramilitary organization meant for the elite and innermost dedicated core members. David Miscavige who has the rank of Captain as the highest ranking member has gained a reputation for his volatile temper and abusive tendencies. Although the church denies it. Many defectors have spoken about his explosive personality in relation to his wife who is calm, kind and encourages him to step away when angry. No one has seen him physically abuse Shelly, but there are reports of verbal abuse. Where is Michele Miscavige Now? Michele Miscavige had a dysfunctional childhood where she was shunned by her peers leading to her becoming reclusive. She was seen as a misfit and this pushed her to become utterly devoted to Hubbard and her husband David. Shelly’s absence from Tom Cruise and Katie Holmes wedding in 2006 where David Miscavige (her husband) was the best-man became questionable, as that was the wedding of the century which she acted as the catalyst for. Questions directed at her husband concerning her whereabouts were answered by her lawyer who said that she is not missing but devotes her time to the work of the Church of Scientology. Some speculations believe that she possibly must have incurred her husband’s wrath after filling several job vacancy ads without his permission. Marc Headley, a former Scientologist who wrote about the church says Michele is really the only person to tell the whole truth and end the puzzle. She was sighted at her fathers funeral but was carefully guarded by Scientology Handlers. Vanity Fair story for March 2014 claimed that Michele is being kept at Twin Peaks, Rim Forest, a 500-acre site located outside Los Angeles.